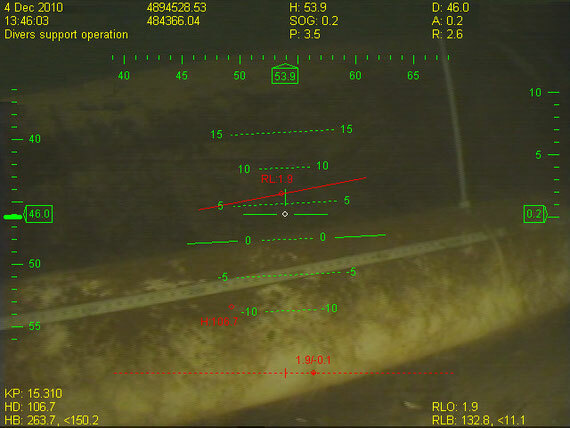 The Captain Nemo application requires only two interface connections for overlay generation and overlaying on the captured video – ROV camera live video and data from the navigation mainframe. The interface scheme is shown on Pic.1. An overlay in the form of graphical primitive with parameters duplicated in the text overlay is the result of processing the received data. 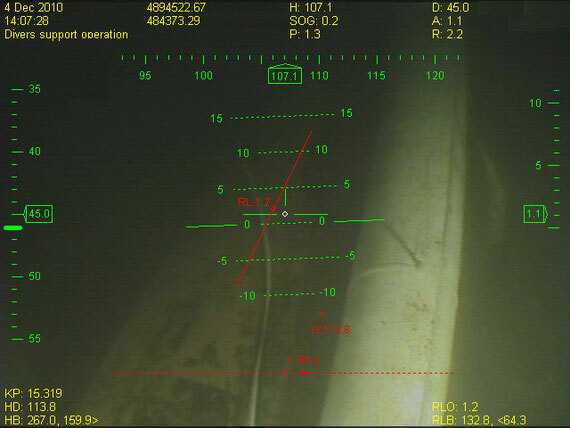 Visualization of ROV orientation parameters and targeting data provides a pilot with additional sensation of the vehicle in space and relatively to other objects. The pattern of overlay data representation and screenshots are given below (Pic. 2, Pic.3, Pic.4). 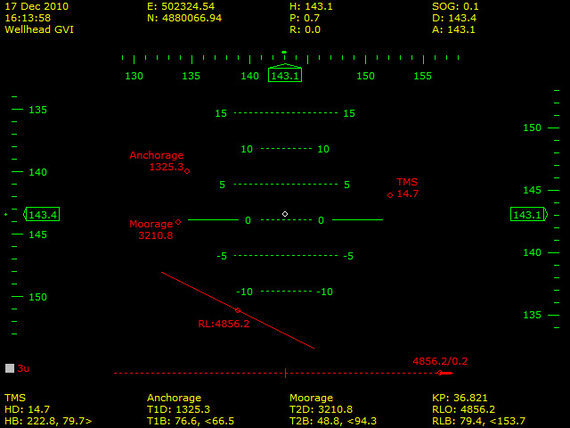 - Runline offline (helmsman) indication (ROV position relatively to Runline with offline dynamic information).